Ronald Stuart Thomas's ashes are buried close to the door of St. John's Church, Porthmadog, North Wales. Thomas was educated at St. Michael's College, Llandaff and at University College, Bangor. In 1936 he was ordained as a clergyman into the Church of Wales - a position he held until his retirement in 1978. His last parish was that of Aberdaron - located on the tip of the remote Llyn Peninsula. The bleak Welsh landscape and the harsh life of the farmers (who were his parishioners) provided much of the inspiration for his poetry. Thomas was a great advocate of the Welsh language which he learnt at the age of 30. However, he always wrote his poems in English. Thomas was also a fervent supporter of Welsh nationalism and even condoned violent action against English-owned properties in Wales. Thomas also wrote some of the finest religious poetry of his generation: detailing his hard-won sense of affirmation in the face of silence and doubt. In 1964 Thomas was awarded the Queen's Gold Medal for poetry. Thomas was a prolific poet - writing over 1500 poems in his lifetime. 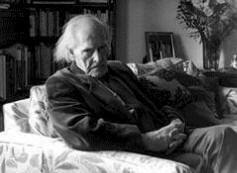 His complete poems 1945-90 were published in 1993 to mark his 80th birthday. Ted Hughes was a great admirer of his work. In 1998 The Manic Street Preachers reproduced his poem Reflections on the cover of their CD This Is My Truth Tell Me Yours. It was taken from his final collection No Truce with the Furies. In 1996 Thomas was nominated for the Nobel Prize for Literature. He died in 2000 at the age of 87.